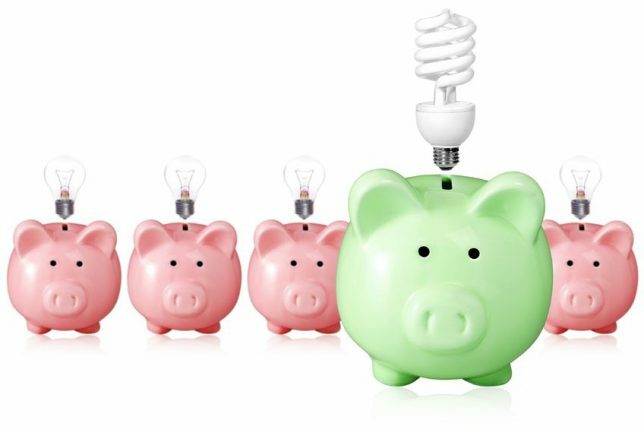 A good way to save money on household expenses is to improve home energy efficiency. In some cases this will mean an initial investment, but in others, a bit of time and effort will pay dividends for years to come. Start with an energy audit: Check with your local utility to see if it offers a home energy audit. Ask about technology that tracks energy usage in your home so that you can identify areas for improvement. You may also be eligible for rebates on home energy upgrades. Inspect and maintain: Seal gaps around window frames and exterior doors to prevent cooled or heated air from leaking out of your home. When not in use, keep your chimney flue closed to stop drafts from entering your home. Duct leaks caused by breaks or disconnections of the duct work in your home will cause increased electricity usage. Also check the rubber seals on your refrigerator and freezer doors. If cold air is seeping out of dry or cracked seals, the appliance will need to run more to keep its contents cold. Add insulation: Insulating your home is the single best energy-efficiency improvement you can make. This includes the attic, walls, basement, crawl spaces and garage. Consider boosting your existing attic insulation if it is under an R-38 level. Don’t forget to insulate any accessible hot water heater pipes as well as the cold water supply line near the hot water tank. Change lightbulbs: Switching to energy-efficient LED bulbs will help keep lighting costs down. Be sure to recycle or properly dispose of old compact florescent bulbs. Replace appliances: If your major appliances are more than 10 years old, consider replacing them with ENERGY STAR certified ones. Older model refrigerators and clothes dryers, in particular, can be energy hogs. The new, energy-efficient appliances will save money and conserve energy over their lifetimes. Look for energy-saving options such as “speed cycles” that offer flexibility. Also pick the correct size appliance for your space and needs. One that is too large will use more energy than is necessary. Upgrade your HVAC system: As with major appliances, replacing your old HVAC system or furnace with a high-efficiency, energy-saving model will go far in reducing the amount of energy your home consumes. During hot weather, set your thermostat on 78⁰ when home and 85⁰ when away. If you have a pet, you should not turn your thermostat above 80⁰. During cold months, try setting the thermostat on 68 degrees when your home is occupied, and between 60 to 65 degrees when the family is away. Set your hot water thermostat to 120°. Set the temperature of your refrigerator to 35°-38° and your freezer to 0°. Thinking of remodeling? Plan for better energy efficiency. A home remodeling project offers the perfect opportunity to implement many of the energy-saving tips above. Plan your remodeling so that it includes energy-efficient appliances and lighting, install a smart thermostat, and take advantage of the chance to increase insulation wherever you can. Consult with your home remodeling contractor for more ideas on how to build in efficiency up front. And when you’re ready to remodel, make sure you work with a qualified contractor. To find a vetted, experienced contractor in your local area, enter your ZIP code above. You’ll receive a free, no-obligation estimate from a contractor whose workmanship is warrantied for a full three years.